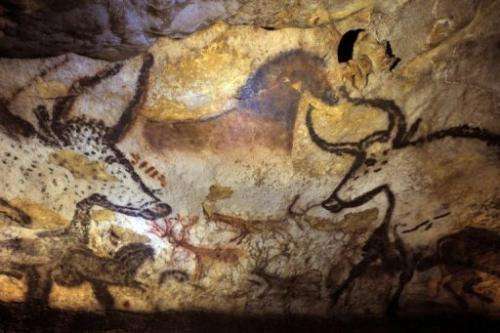 A 2010 picture of a prehistoric painting in the Lascaux Cave in southwestern France. They call her the Old Lady, for she is some 18,000 years old and frail, which is why she is protected by steel doors, security cameras and the gentlest nurturing the 21st century has to offer. The cave was eventually closed to the public but the damage was done. Humans had brought in heat, humidity and microbes, upsetting the cave's ecosystem. 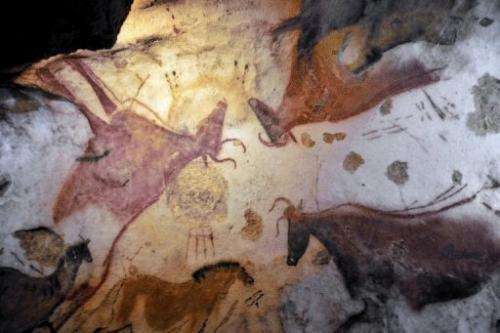 He later became a specialist in prehistoric wall painting -- and joined the campaign to save the precious site. "The cave was completely disturbed," said Clottes, 78. "In 1947 alone, they dug out 600 cubic metres of sediment to make an entrance and concrete path and installed lighting for the public." "No prior study was done, and it completely changed the cave's micro-climate," sighed Clottes. "We altered its balance." In its untroubled state, the cave's microscopic flora had had thousands of years to reach a truce in the battle for habitat. But the introduction of new organisms may have upset the peace, enabling one species to dominate others, said Clottes. 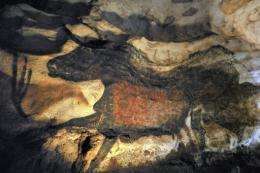 "We are using compresses against it but not surgery," said Muriel Mauriac, an art historian appointed the cave's curator in April 2009. Under scientific guidance, the human presence is limited to a total of 800 hours per year, including maintenance and academic research. Two hundred metres (yards) from the cave is a visitors' centre with a replica that receives some 300,000 tourists a year. Entrance is made through two airlocks, one of which is an "air curtain" designed to keep out external humidity yet not affect the natural draughts that circulate in the cave through fissures.